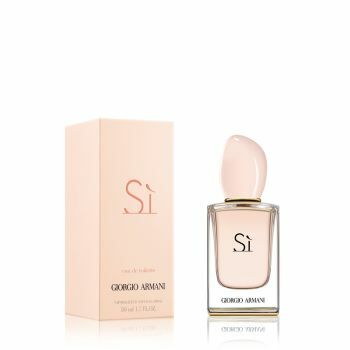 Giorgio Armani introduces the lighthearted emotion of Si Eau de Toilette. With the luxury that comes from simplicity, the Si Eau de Toilette fragrance for women is composed of only the most essential ingredients.Like silk brushing against bare skin, it is subtly textured and seductive. A brilliant, floral chypre composed of contrasts. Si Eau de Toilette is the quintessential expression of an intimate women's fragrance, lightly elusive yet nuanced to evoke a palette of daring, playful and ultimately seductive emotions.